I am home alone and a simple meal with bok choy is what is in store for me. Apparently, it's a top nutrient-dense food full of antioxidants, vitamins and minerals that are associated to promoting strong bones and good eye health. That means a good amount of vitamin K, vitamin C, and vitamin A. 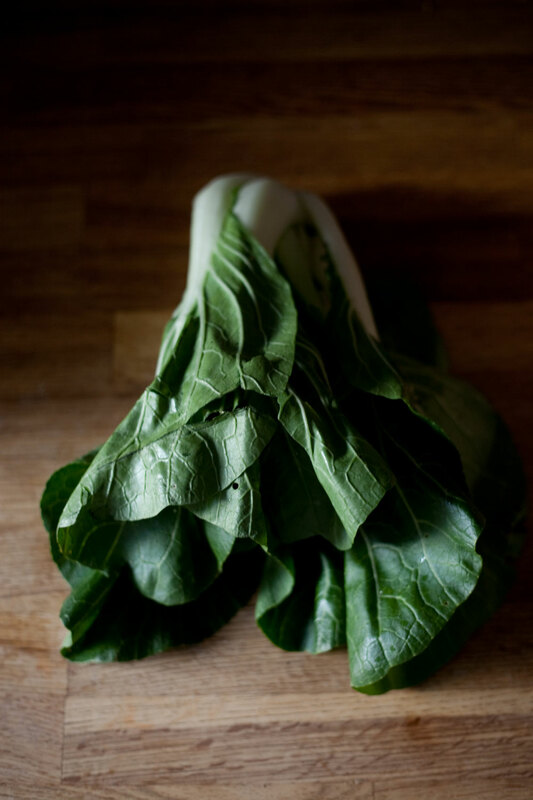 Studies have shown that this Chinese cabbage is part of the cruciferous family of vegetables that contains glucosinolates (more than most other cruciferous vegetables) which is associated to a reduced cancer risk. No drooling please but I'm dining with a cancer-fighting warrior tonight. Cut off the ends of the bok choy and then cut the vegetable lengthwise. Wash all the soil off and then let it dry. Add the oil in your wok and turn the heat up high. Add the garlic and swirl it around the wok, then quickly add the halved bok choy. Stir quickly so that the garlic doesn't sit at the bottom and burn. Keep stirring for about a minute or until the green part of the vegetable starts to wilt. Add some salt, stir, and cover with a lid. Turn down the heat and continue to let it cook for another 30 seconds. The leaves should be soft and the stems should have a slight crunch to it. Bok choy can be steamed and boiled as well. You can easily find this on a menu in a Chinese restaurant served with oyster sauce.